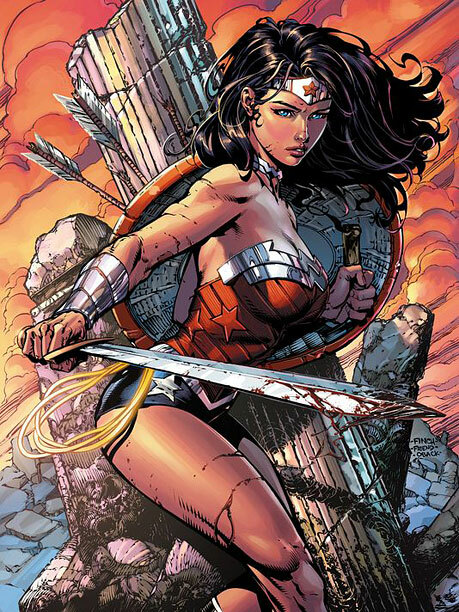 Husband and wife team Meredith and David Finch (a previous Outstanding Artist winner) will be taking over the Wonder Woman title with issue #36. Volume 9 of the stunning Prince Valiant by Hal Foster hardcover series from Fantagraphics came out on Wednesday this week. Jeff Lemire’s acclaimed run on Green Arrow will be ending with the 34th issue. The Arrow television show producer and a show writer will be taking over the title in the fall. DC Comics has changed their contracts, and now colourists will receive cover credits and royalties, the bummer is that the royalties are much harder to get. Speaking of DC, they continue to provide Justice League Canada variants of Justice League United which are the preferred version to get at many comic shops. It’s also written by Jeff Lemire. Later this month we’ll have some more details on the Harry Kremer Award finalists (narrowing down the selection from 10 to 5), and on our 2014 Canadian Comic Book Creator Hall of Fame Inductees. Canada Day has come and gone, but the media was awash with stories about Canadian superheroes, Johnny Canuck, Brok Windsor, and in particular, Captain Canuck. The good Captain is getting a new comic book series later this year, hopefully you were able to get your free Captain Canuck Canada Day comic! 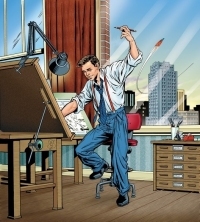 My apologies for those of you waiting for updates on eligible creator lists, as eager as you are to get started on the 10th Annual Joe Shuster Awards, so are we — so am I. Obviously the passing of my significant other, Debra, in late January has had a severe impact on the morale here at the Joe Shuster Awards and on my output. We are committed to making sure that the awards will take place. I hope to finish compliling the data over the next few weeks and we’ll be using March 2014 as a feedback/confirmation month – looking for your input and finalizing our 2014 nominating committees. Obviously a major concern for us is money, so we do need to get back on a financial track this year that is realistic and to that end we will be running a fundraising campaign once we get things onto that schedule. 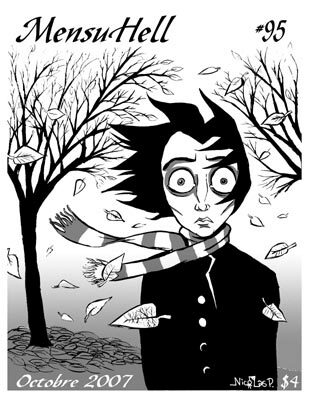 Over at Sequential Spiltink, Salgood Sam reports on the passing/suicide of young Montreal cartoonist Nicolas Plamondon.